Image copyright: Photograph by Kevin Todora. Known for his collaborations with pop icon Kanye West and fashion house Louis Vuitton, and for vibrant anime-inspired characters, Japanese artist Takashi Murakami (b. 1962) has blurred the boundaries throughout his career between high and low culture, ancient and modern, East and West. 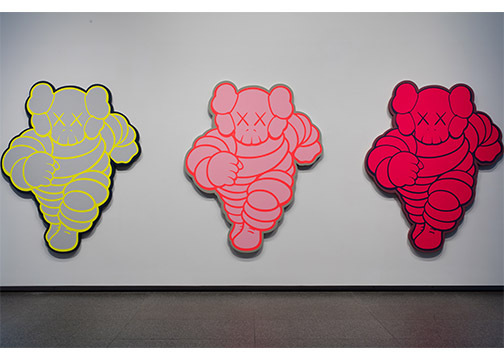 Organized by the Museum of Contemporary Art, Chicago, the exhibition is a major retrospective of his paintings, featuring fifty works that span three decades of his career, from the artist’s earliest mature works to his recent, monumentally scaled paintings. 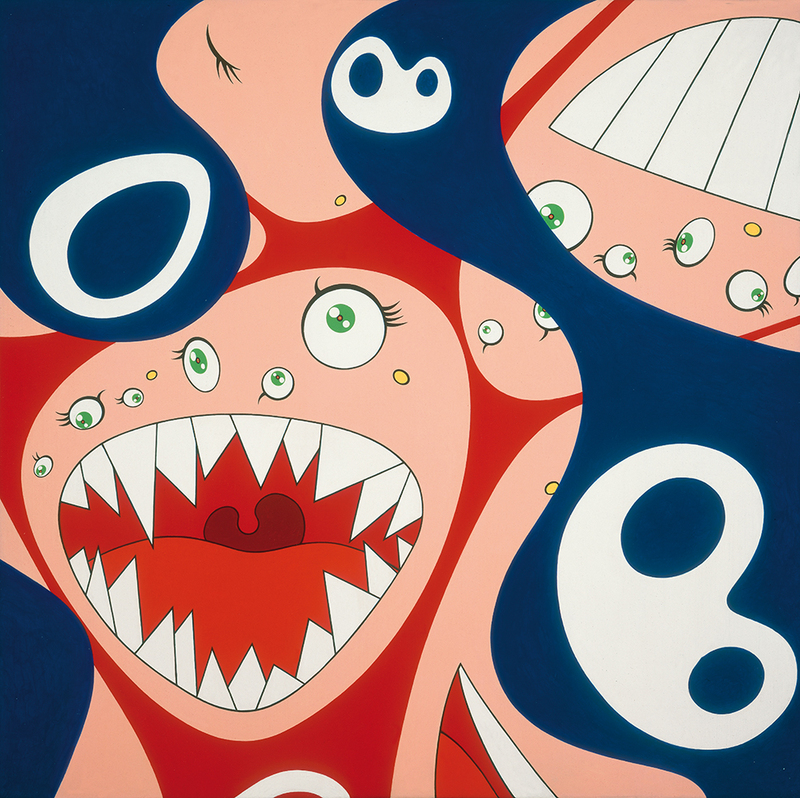 The exhibition, titled Takashi Murakami: The Octopus Eats Its Own Leg, shows how Murakami’s art is rooted in traditions of Japanese painting and folklore, and highlights the artist’s careful attention to craft and materials. It also showcases the artist’s astute eye for the contemporary influences of globalization, media culture, the continued threats of nuclear power. In 2007, the Modern Art Museum of Fort Worth hosted Ron Mueck, featuring the artist’s figures that are extraordinarily realistic, except in scale-they are always depicted much smaller or larger than life. 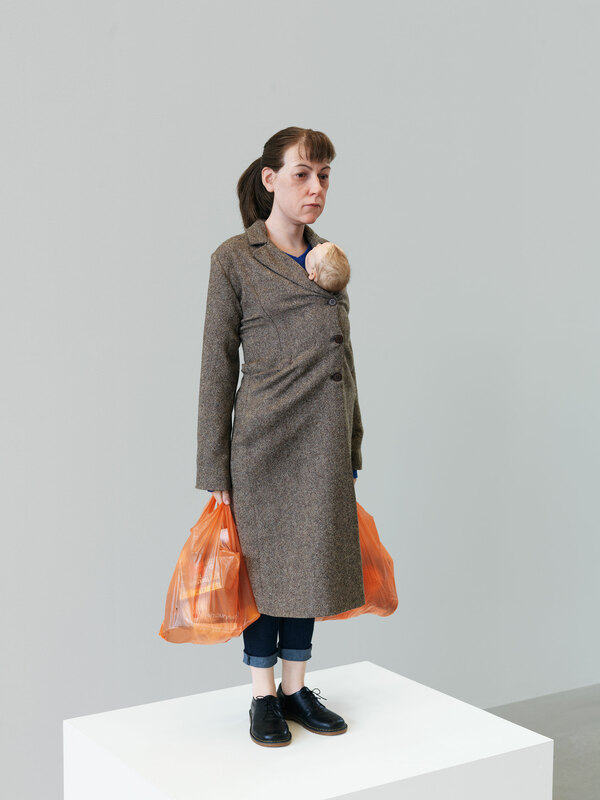 The exhibition broke attendance records for the Museum as Mueck’s stunning works became a must-see for visitors from across the region. Now a decade later, Ron Mueck returns to the Modern for a special project showcasing seven major works created between 2008 and 2018, including a new sculpture debuting in Fort Worth. 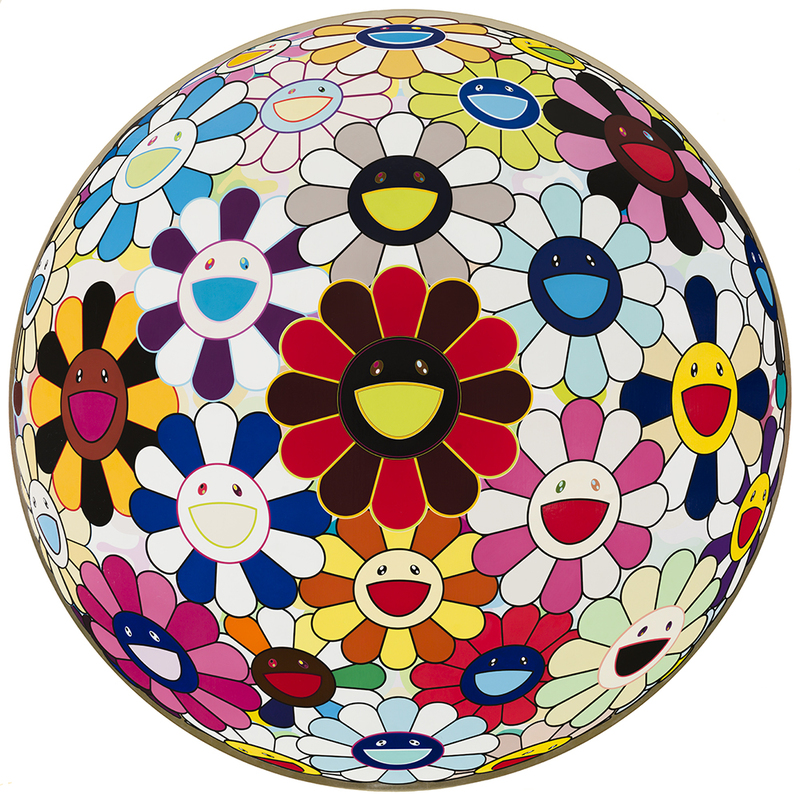 Known for his collaborations with pop icon Kanye West and fashion house Louis Vuitton, and for vibrant anime-inspired characters, Japanese artist Takashi Murakami has blurred the boundaries throughout his career between high and low culture, ancient and modern, East and West. 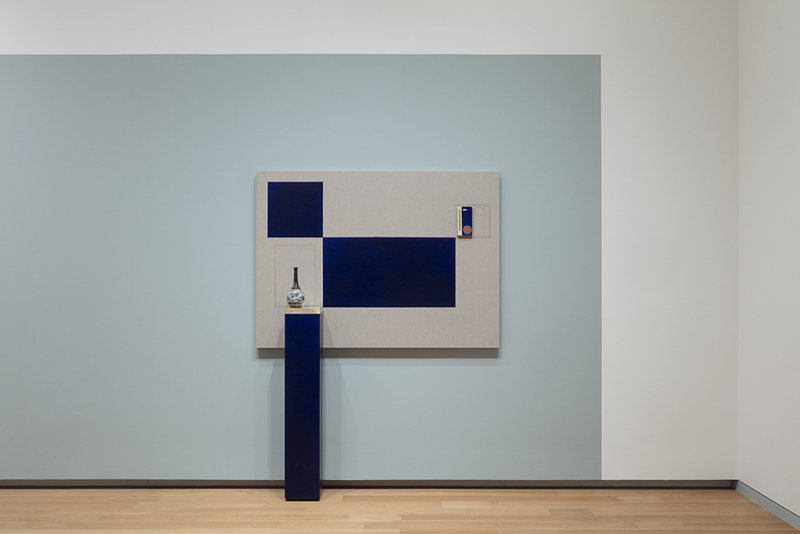 Organized by the Museum of Contemporary Art, Chicago, the exhibition is a major retrospective of his paintings, featuring fifty works that span three decades of his career, from the artist’s earliest mature works to his recent, monumentally scaled paintings. The exhibition shows how Murakami’s art is rooted in traditions of Japanese painting and folklore, and highlights the artist’s careful attention to craft and materials. It also showcases the artist’s astute eye for the contemporary influences of globalization, media culture, the continued threats of nuclear power. 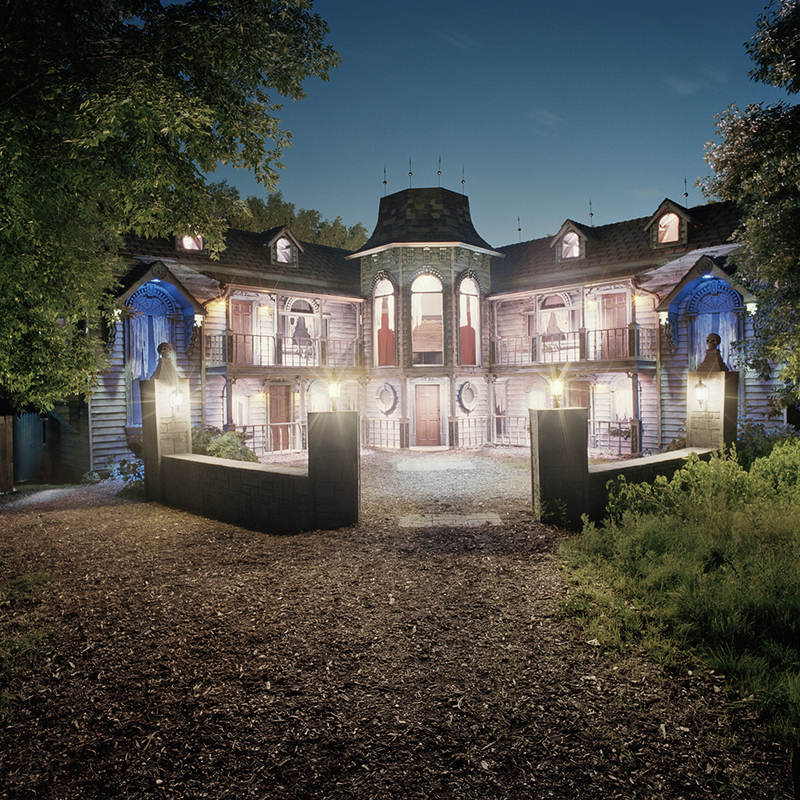 Misty Keasler’s work is included in the permanent collections of the Museum of Fine Arts in Houston, Dallas Museum of Art, Museum of Contemporary Photography in Chicago, Kiyosato Museum of Photographic Arts in Japan, and the Ogden Museum of Southern Art. She holds an undergraduate degree from Columbia College and an MFA from Bard College. She lives and works in Dallas, Texas. Katherine Bradford is known for her vibrant palette, faux-naïf style, and eccentric compositions. Often built up over months and sometimes years, Bradford’s paintings are textured, semi-transparent coats of acrylic paint, with hints of pentimenti exposed in the finished surface. Her recent works revisit several of her favored motifs, such as ships and swimmers—traditional and enduring subjects seen throughout art history. Bradford’s canvases, however, are more ominous, and often improbable in comparison to the relative calm of James McNeill Whistler’s paintings or Paul Cézanne’s portraits of bathers. In her works, ocean liners collapse in the night sea, beachgoers and swimmers populate fearsome expanses such as ebbing waters and outer space, and sea monsters, as in Large Ocean Painting, 2016, rear their heads above a crowded ocean. Bradford’s work suggests humanity humbled by the vastness of nature. The FOCUS series is organized by the Modern Art Museum of Fort Worth for the Director’s Council, a group that supports acquisitions at the Museum. The series features three solo exhibitions annually, organized by Assistant Curator Alison Hearst. Since the mid-1970s, Stanley Whitney has investigated the intricate possibilities of color and form in the realm of abstract painting. Whitney’s signature style features multicolored, irregular grids on square canvases. 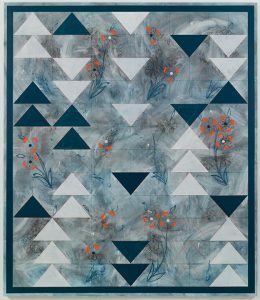 Taking the essentialist grid of minimalism as his cue, his configurations are loose, uneven geometric lattices comprised of vibrant stacked color blocks that vary in hue, shape, and the handling of the paint. 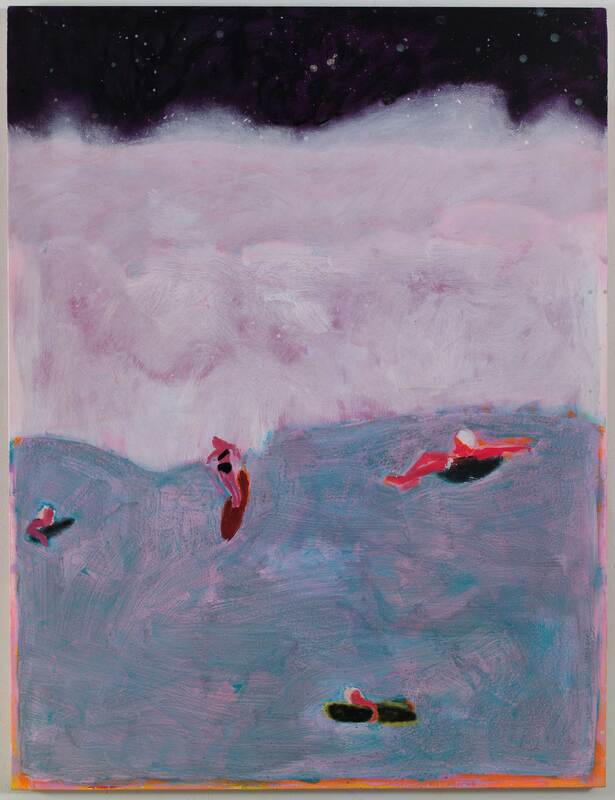 Whitney also utilizes color as subject, and his paintings often refer to literature, music, places, and other artists, connections that are bolstered in his titles. 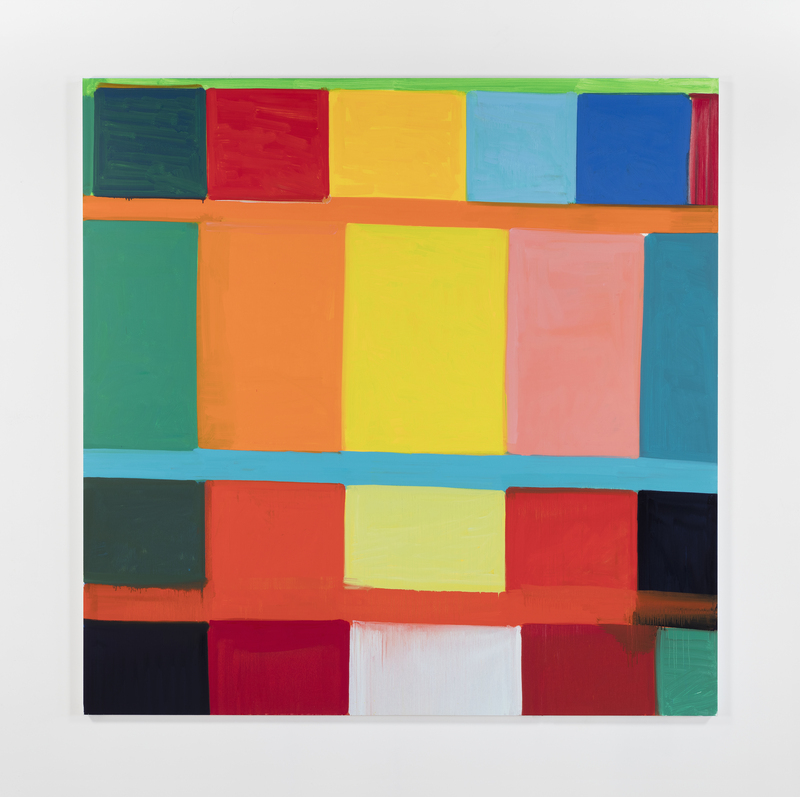 FOCUS: Stanley Whitney features new work by the artist, including three large-scale paintings. Read more at The Modern’s website. The Modern Art Museum of Fort Worth presents the first exhibition focusing on Donald Sultan’s seminal Disaster Paintings series, including eleven signature paintings from 1984 to 1990. Donald Sultan: The Disaster Paintings is organized by the Modern’s assistant curator, Alison Hearst. The exhibition will be on view at the Lowe Art Museum, Miami, September 29–December 23, 2016; Modern Art Museum of Fort Worth, February 19–April 23, 2017; Smithsonian American Art Museum, Washington, DC, May 26–September 4, 2017; North Carolina Museum of Art, Raleigh, September 23–December 31, 2017; and Sheldon Museum of Art, Lincoln, January 24–May 13, 2018. Artist Donald Sultan’s career began with his first solo exhibition in 1977 in New York City, when he was just 26 years old, and he rose to prominence in the 1980s. A painter, sculptor, and printmaker, Sultan is regarded for his ongoing large-scale painted still lifes featuring structural renderings of fruit, flowers, and other everyday objects, often abstracted and set against a rich, black background; but he is also noted for his significant industrial landscape series that began in the early 1980s entitled the Disaster Paintings, on which the artist worked for nearly a decade. While Sultan’s still lifes depict and strengthen fragile and ephemeral objects, the Disaster Paintings often illustrate robust, man-made structures, such as factories and train cars, that exhibit a level of fragility in their propensity to be unhinged by catastrophic events. 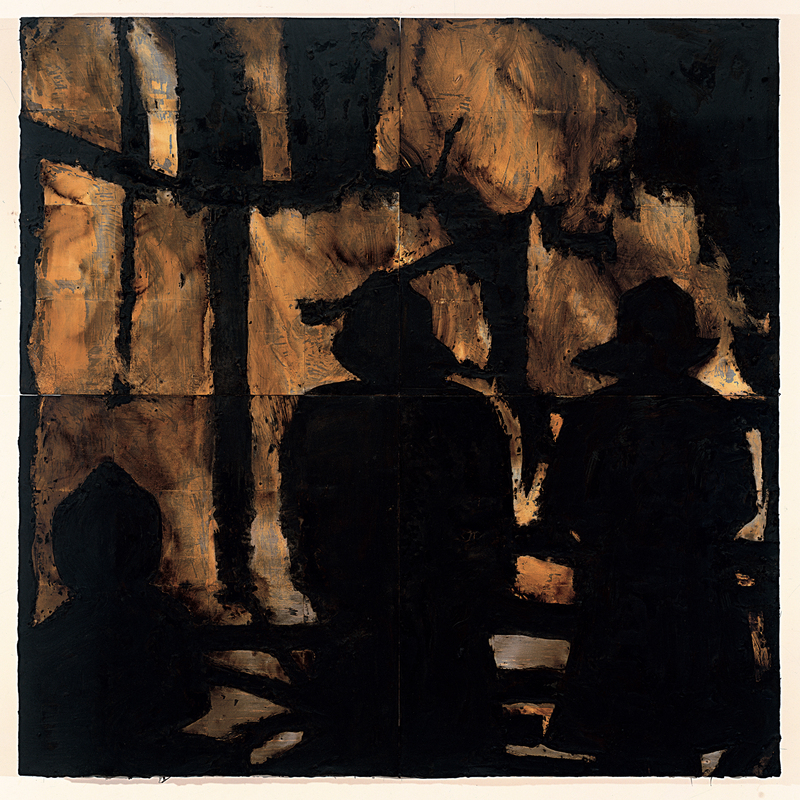 Distinguished for combining such subject matter with industrial materials, such as tar and Masonite tiles, the Disaster Paintings exemplify in both media and concept the vulnerability of the most progressive manufactured elements of modern culture. Acrylic on canvas over panel, 84 x 68 x 1 3/4 in. Since the beginning of her career in the mid-1980s, Lorna Simpson has been well known for her conceptual photographs and videos that challenge historical and preconceived views of racial and sexual identity. FOCUS: Lorna Simpson will be the first museum exhibition to feature the artist’s large-scale acrylic, ink, and silkscreened paintings. Stanley Whitney investigates the intricate possibilities of color and form in the realm of abstract painting. Since the mid-1970s, Whitney has been known for his multicolored, irregular grids on square canvases. Taking the essentialist grid of minimalism as his cue, his configurations are loose, uneven geometric lattices comprised of vibrant stacked color blocks that vary in hue, shape, and the handling of the paint. 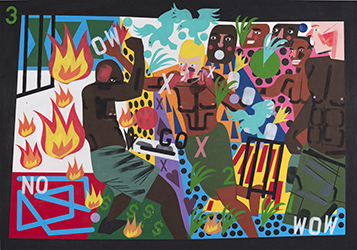 Whitney also utilizes color as subject, and his paintings often refer to literature, music, places, and other artists, connections that are bolstered in his titles. Artist Donald Sultan’s career began with his first solo exhibition in 1977 in New York City, when he was just 26 years old, and he rose to prominence in the 1980s. A painter, sculptor, and printmaker, Sultan is regarded for his ongoing large-scale painted still lifes featuring structural renderings of fruit, flowers, and other everyday objects, often abstracted and set against a rich, black background; but he is also noted for his significant industrial landscape series that began in the early 1980s entitled the Disaster Paintings, on which the artist worked for nearly a decade.